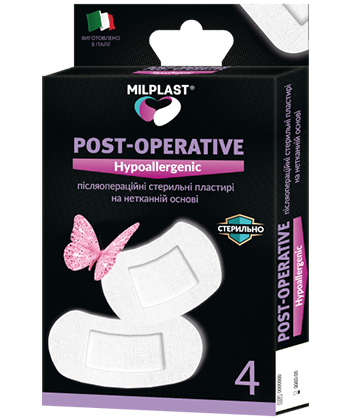 Milplast POST-OPERATIVE Hypoallergenic was developed specifically to protect post-operative sutures and wounds from contamination and infection. The pad on the plaster absorbs any liquid that can be released from the wound after surgery. Plasters are hypoallergenic, ideal for the skin in the area of the postoperative suture, as well as for sensitive, irritated or allergic skin prone. It is also recommended for use by people with sensitive skin or susceptible to allergies.